I have only ever seen Concorde twice. Once at Mirabel when I was either on my way to England or coming back to Montreal, I don’t quite remember. Taking an international flight to/from Mirabel should give you a good indication of how long ago it was. 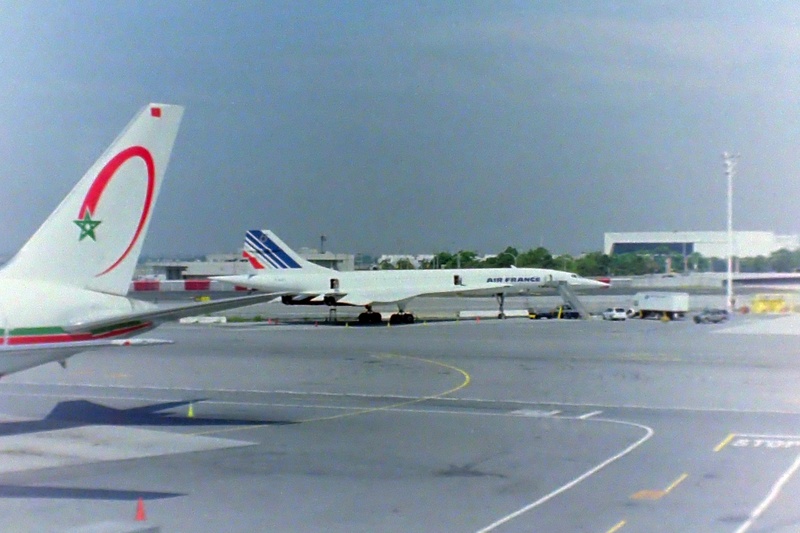 The second time I saw Concorde, was at New York’s JFK airport while on my way to Tokyo. When I took this photo, I was not yet using digital; therefore, this was taken on 35mm film. I scanned the negative with my camera to get it into a digital format. Concorde was always an awesome sight to see. If you’re wondering, compared to regular commercial airliners, Concorde was not very big.